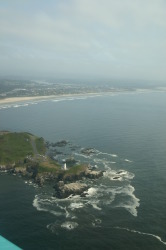 Gleneden Beach is located five miles south of Lincoln City and five miles north of Depoe Bay on the beautiful Oregon coast, just off Highway 101, south of the Salishan Lodge and Golf Course. Gleneden Beach is a wonderful place to live, work, and play. Our Community offers entertainment, lodging, fine dining and many recreational opportunities. Shopping and other services are conveniently located in our area. We invite you to browse through our website. There are maps, links to our website sponsors, an events calendar and other information you're sure to find of interest. In addition, please feel free to use the "contact us" section for any questions you may have about the area. The Gleneden Beach Community Club sponsors a breakfast the 1st Sunday of each month except January and July (see the events list for further information.) The Gleneden Beach Community Club welcomes you and hopes to see you on your visit to our home on the Oregon Coast.